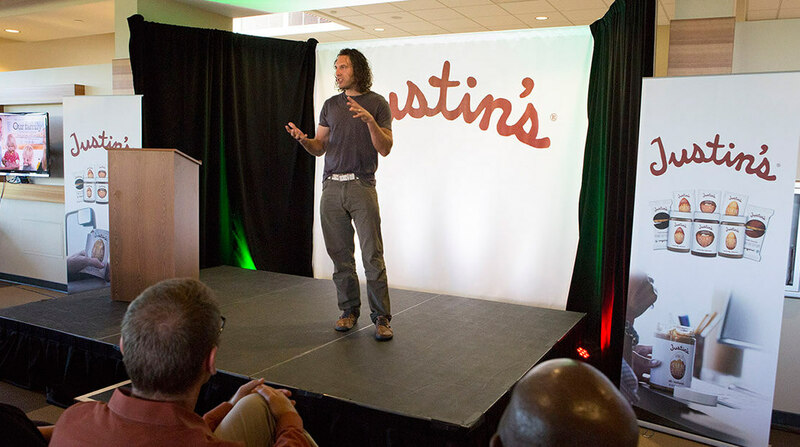 Justin Gold, founder of the Justin’s®brand made a trip to the Hormel Foods Corporate Office (Austin, Minn.) to speak with employees about his business journey, from selling his nut butters at the Boulder, Colo., Farmer’s Market, to the company they are today as a part of the Hormel Foods family. 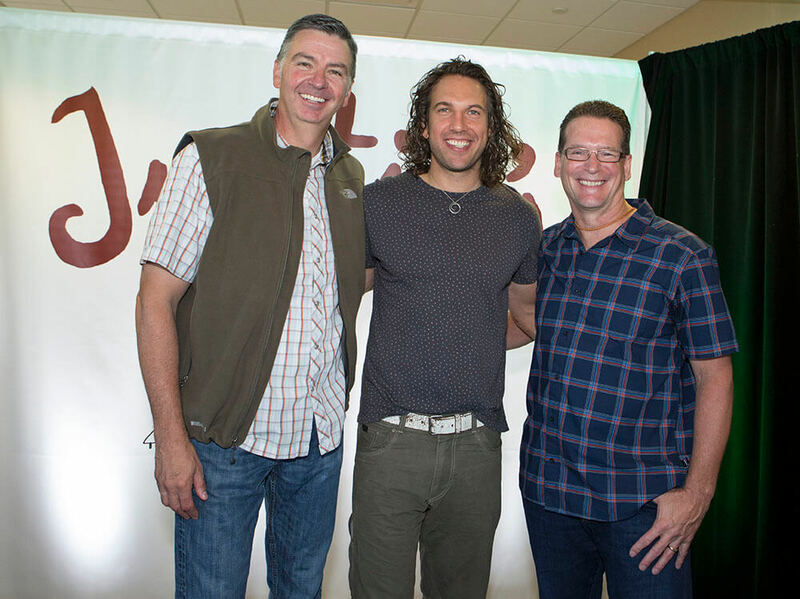 “You guys as employees are what make Hormel Foods so successful and so special, and it’s your hard work that puts your company in a position to change the future of food and bring along companies like mine with you,” said Gold. Jim Splinter, group vice president, Grocery Products, and Jim Snee, president and COO, also spoke during the event. The Justin’s®brand was founded in 2004 and is a pioneer in nut-butter based snacking. Justin’s® markets four successful nut butter-based snack lines – spreads, squeeze packs, peanut butter cups and snack packs. The company is headquartered in Boulder, Colo., and is a subsidiary in the Grocery Products segment. Learn more about the company and products at www.justins.com. Hormel Vital Cuisine fights cancer with food Hormel Foods, which has a history of funding cancer research, this year launched its most direct volley in assisting cancer patients.